Success in litigation requires experience, diligence, and a strong advocate to represent your interests. An experienced Las Vegas civil litigation attorney at The Fletcher Firm has the extensive experience in Nevada’s and California’s courtrooms and has the knowledge and skills necessary to aggressively pursue your interests. We will provide you an honest opinion about your case and only litigate a case that we believe will net you the results you desire. 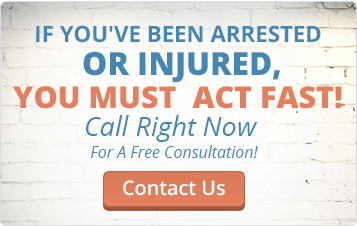 Call us today for an evaluation with an experienced Las Vegas civil litigation attorney. Civil lawsuits are complicated legal processes that most definitely require the assistance of an experienced Las Vegas civil litigation attorney. Typically, a civil action will begin with a complaint and a summons. A complaint details the allegations made by the plaintiff against the defendant. You will need a Las Vegas civil litigation attorney to prepare this document. Next, your attorney will either file the complaint and summons with the court or serve it to the defendant in order to launch the civil action. Then, the defendant must answer to the complaint. In the answer, the defendant has to state whether or not he admits to anything being alleged against him. The answer will also state what the defendant does not admit to and what defenses he has to defend himself. If no answer is submitted by the defendant, the court may decide to enter a default judgment. Next, both the plaintiff and defendant will exchange information with each other that is relevant to the lawsuit in a process called discovery. Sometimes, lawyers can give written questions to the other party which have to be answered under oath. Most often, lawyers will arrange for the other party to take part in a deposition. A deposition is a formally transcribed statement made under oath in front of authorities from the court. All of this information is collected and used to compile a case for court. Before even getting to court, some parties choose to resolve and settle the case through mediation or a settlement. In other cases, the defendant may try to get the case thrown out through a court motion. A motion to dismiss, a commonly used motion in civil court, attempts to show the judge that there is no evidence showing the defendant is liable to the plaintiff, and therefore the case should be dismissed. The plaintiff may submit a motion for summary judgment which says that both parties agree on the facts of the case and those facts are enough to show that the defendant is liable to the plaintiff. This motion is submitted in an attempt to avoid trial and reach a favorable outcome for the plaintiff as soon as possible. If the judge grants either one of these motions, the lawsuit will most likely end, so these motions are submitted very early on in the process. If there is no settlement and motions are not accepted by the court, the case will proceed to trial. Both parties are allowed to choose whether or not they want a jury present, and this decision should not be made without the help of an experienced Las Vegas civil litigation attorney. During the trial, each side will have the opportunity to present evidence and arguments that prove their case. Both sides will have the opportunity to subpoena witnesses and force them to take the stand and testify to prove their case. Once both sides have completed their presentation, the jury or judge will have to make a decision about the outcome of the case. If one or more parties are not satisfied with the decision, either party can appeal the decision to a higher court. However, the majority of the time, higher courts do not overturn a civil suit decision made by a lower court. The length of this process can vary greatly depending on the details of your case. It can range anywhere from six months to a few years to get through the civil litigation process. Without the help of an experienced Las Vegas civil litigation attorney, you may run into issues and obstacles that delay the case even further. Don’t face a civil suit without the help of an attorney from the Fletcher Firm. Some cases never go to trial because they are settled outside of court through civil litigation alternatives. An experienced Las Vegas civil litigation attorney will be able to recommend whether you should take one of these alternate routes or proceed with a trial. Settlement: A settlement can be discussed by either party at any stage of the civil suit process. Many parties choose to seek a settlement because it is much more cost-effective and doesn’t take as long as a trial. Mediation: When a settlement cannot be reached without outside help, the parties may consider mediation as an alternative to a trial. During mediation, a neutral third party, known as a mediator, is brought in. The mediator will meet with each party separately to discuss the case in detail. After reviewing the case, the mediator will point out potential risks and disadvantages of each side of the case and show how these risks could impact the outcome. No matter what, the mediator does not have authority to force either party to reach an agreement, but he can make suggestions on how to move forward. Arbitration: During arbitration, the parties will select an arbitrator, or a neutral third party. In this process, the parties will each present their side of the case to an arbitrator. After reviewing the details of the case, the arbitrator will determine which party is the winner. Although this is similar to a trial, it is much less formal and does not take nearly as long to complete. Typically, parties cannot appeal the decision of an arbitrator, so before deciding to go through arbitration, it’s important to seek advice from an experienced Las Vegas civil litigation attorney.